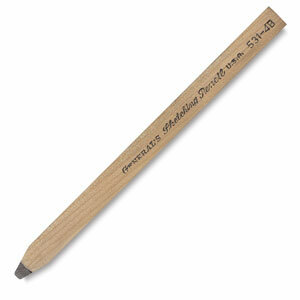 This oval pencil with rectangular lead is just the thing for quick, loose sketching, shading, or filling in large areas. Its wood case sharpens easily with a knife. The pencil is unsharpened.